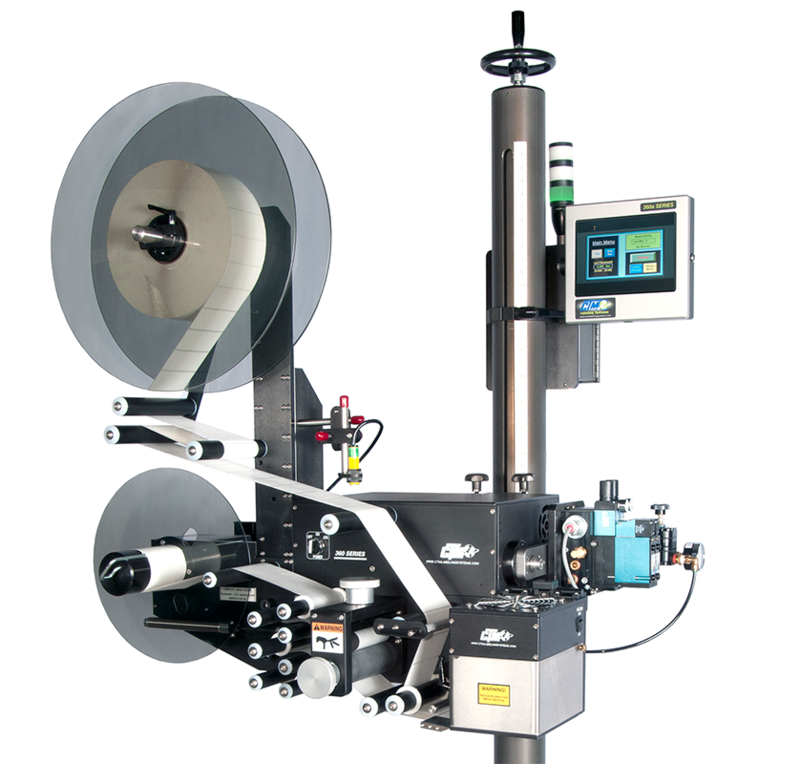 The 360a Series Label Applicator evolved from the industry standard 360 Series Platform. The 360a can be configured as a merge, blow-on or tamp-blow applicator, 5″, 7.5″ or 10″ widths and each module can also be easily switched to the opposite hand with few or no change parts in a minimum amount of time. All units are stepper motor driven to include State-of-the-art electronics and a “Self-teaching” label sensor. File encryption of the 360a allows for easy “on-site” software revisions and upgrades. 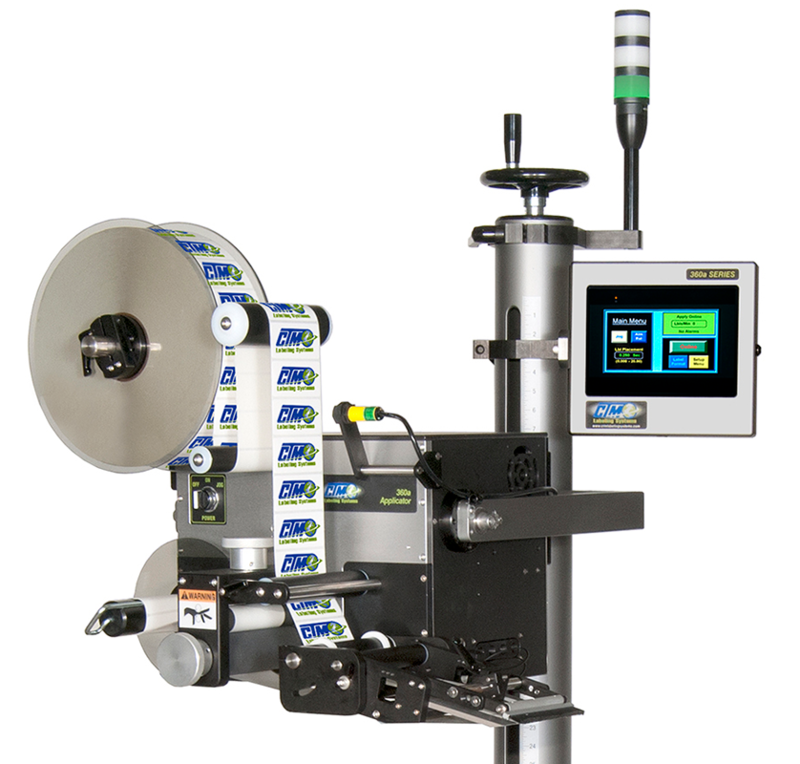 The 360a stepper drive uses a micro pulse driver for increased accuracy and performance, and is programmable to dispense labels at up to 3000 inches per minute. The 360a features a combined power supply, amplifier and position controller to comprise a single drive package. The new single axis digital stepper / servo controller controls up to five tasks simultaneously plus management of variables with expanded I/O making this drive well-suited for the most demanding production applications. 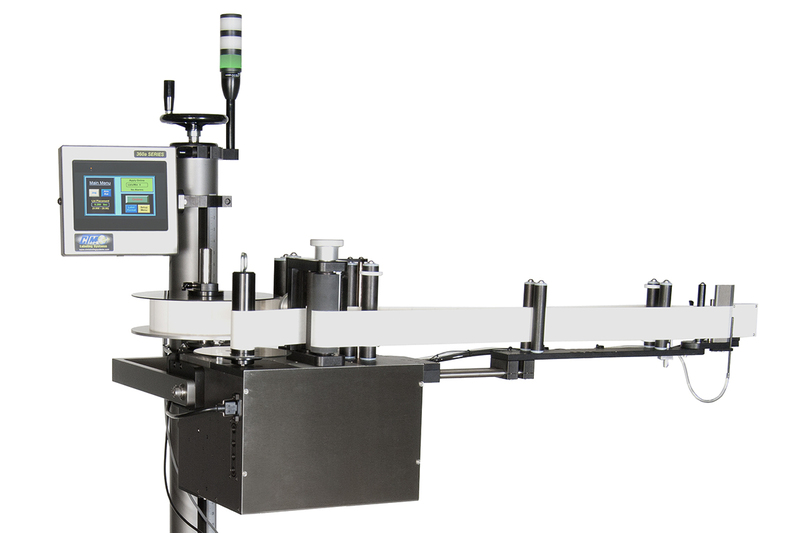 The 360a controller is also equipped with onboard I/O prewired to external connectors to accommodate the following:low label – single, double or triple lightstack web break – encoder velocity compensation loose loop control – product shape profiling imprinting – zero downtime configuration. Each machine is shipped preprogrammed and can have the additional hardware installed at a later date for simple “plug n play” operations. The electronic control assembly is packaged as a module and can be easily removed for repair or replacement, eliminating costly downtime and servicing. The 6″, 256 color, TFT touch screen operator interface provides a bold, bright, high contrast display with self-diagnostic platforms and multi-level intuitive set-up features. Programmable to 3000 inches per minute with secondary unwind and vacuum takeaway. Programmed with speed profiling ability. Air Consumption @ 60-90 psi.